England Handball was shortlisted alongside British Cycling, and Cricket with 'Chance to Shine', for NGB of the year. Although England Handball did not win the award it was great to be a finalist and to receive recognition for our work with the School Games Organiser Network. England Handball also featured in the Innovation Award category – won by Mike Smethurst, the School Games Organiser from Sefton in Merseyside. 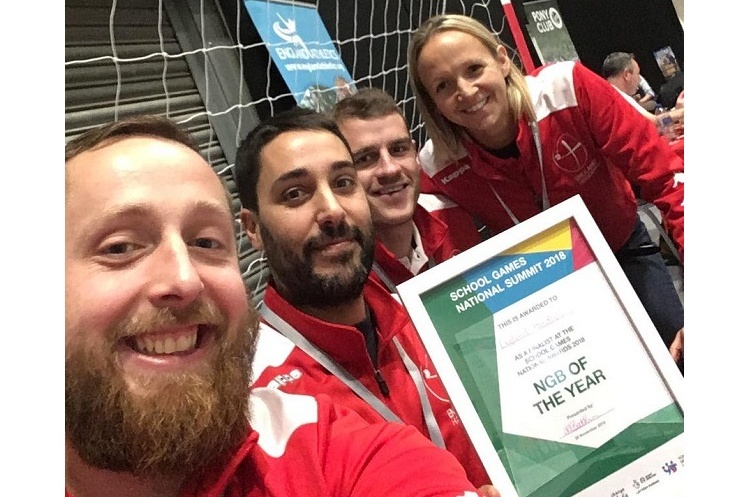 Mike, with the support of our North West Regional Partnership manager Andy Clark, used handball to engage secondary schools in the school games programme. The project fought off competition from across the country to win the award. Thanks to all of the handball community who voted. In addition to featuring in the awards, the Partnerships team attended a number of useful workshops around the subjects – ‘ready to move, ready to compete, ready to choose’. They also staffed a stand in the exhibition hall and were kept busy with lots of School Games Organisers wanting hints and tips on engaging in handball, and developing their handball offer for schools.